Download: For more information about SentryOne Test pricing or starting a trial, see the SentryOne Test Product Information Page. Note: Before starting the installation process, verify that the installation environment meets all System Requirements. 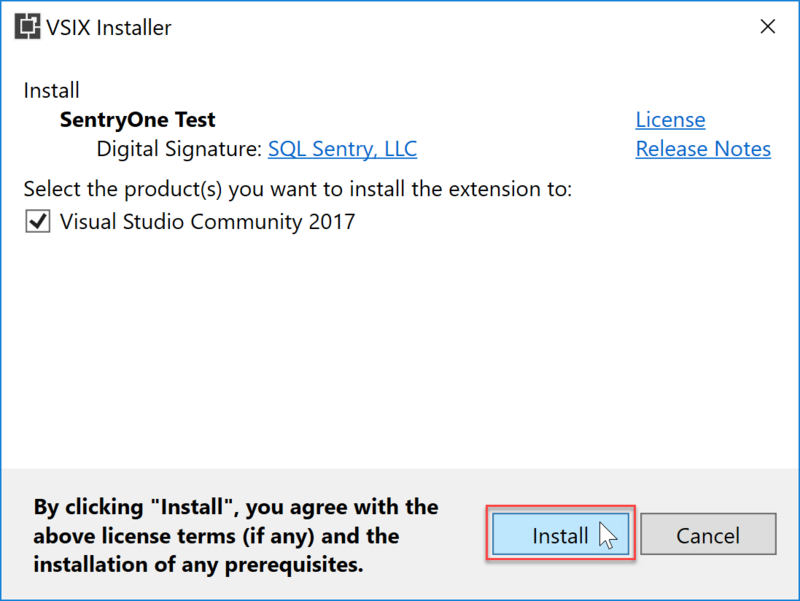 Download the SentryOne Test Visual Studio Extension installer from the Visual Studio Marketplace. After downloading the SentryOne.Test.vsix, execute the file to display the Visual Studio Extension installer. 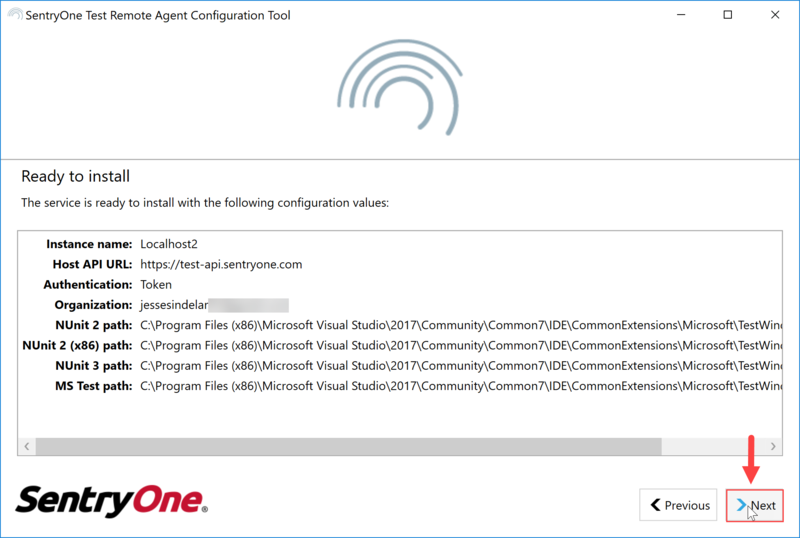 Select the versions of Visual Studio you wish to contain SentryOne Test, and then select Install. 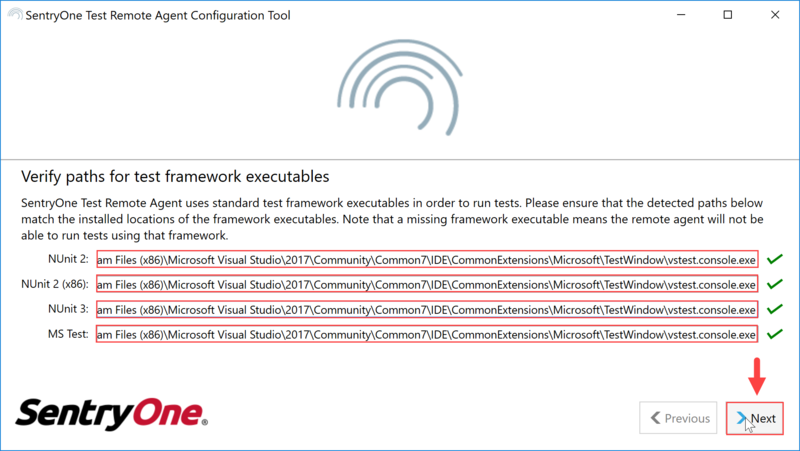 Success: Once the installation has completed, the selected Visual Studio editions are ready to create a new SentryOne Test project! 1. Select the Download icon on the SentryOne Test Dashboard, and then select Remote Agent. 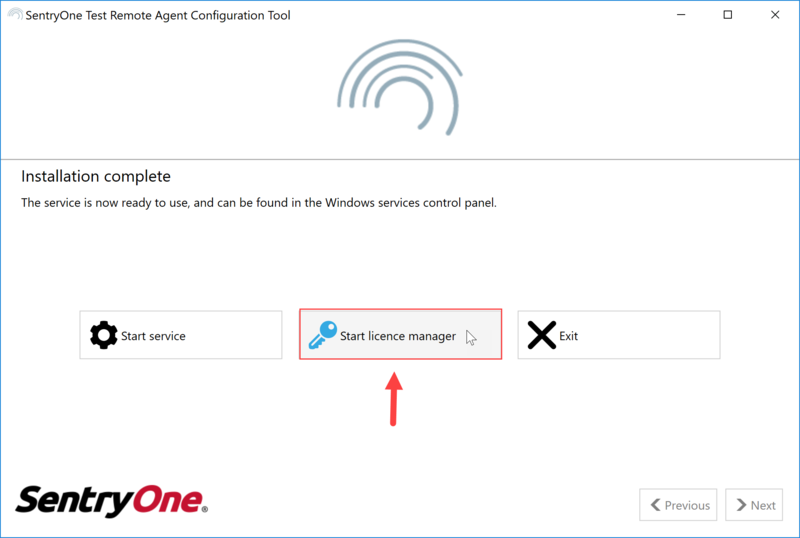 Select Run on the windows download pop-up alert to display the SentryOne Test Remote Agent Setup Wizard. 2. Select Next to continue the installation and display the End User License Agreement. 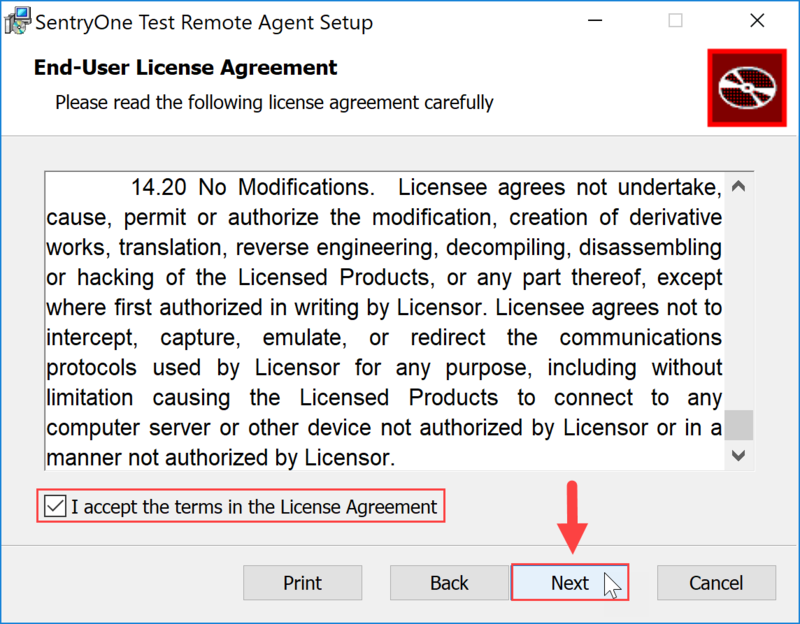 Read through the End User- License agreement, select I accept the terms in the License agreement, and then select Next to continue. 3. Choose where to install the SentryOne Test Remote agent. By default, the remote agent installs at C:\Program Files (x86)\SentryOne\SentryOne Test\RemoteAgent\. Select Next to choose the default location, and display the Ready to Install SentryOne Test Remote Agent page. Note: To choose a custom install location, select Change, and then browse to the desired destination location. Select Ok to finalize the selection. 4. Select Install to begin the installation. 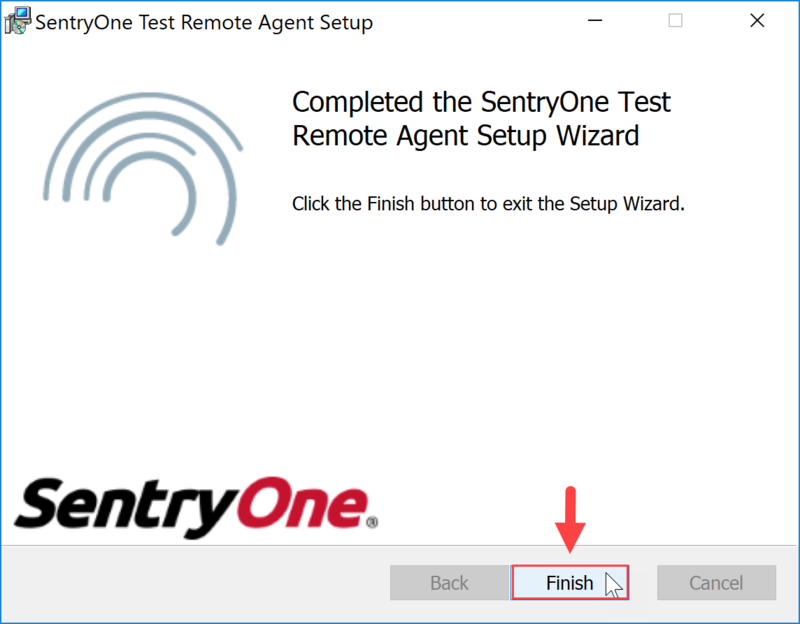 After the installation completes, select Finish to finalize the installation and open the SentryOne Test Remote Agent Configuration Tool. 1. Verify the Connection paths for the desired test frameworks, and then select Next to continue the configuration. 2. 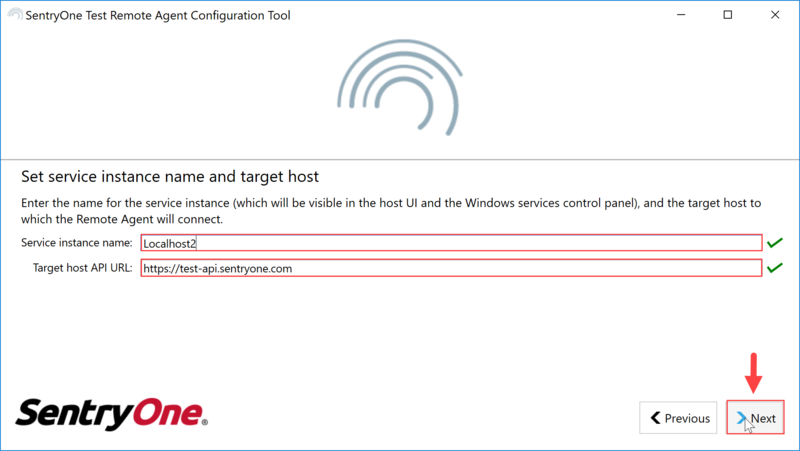 Enter the Service instance name, and then verify the Target host API URL. 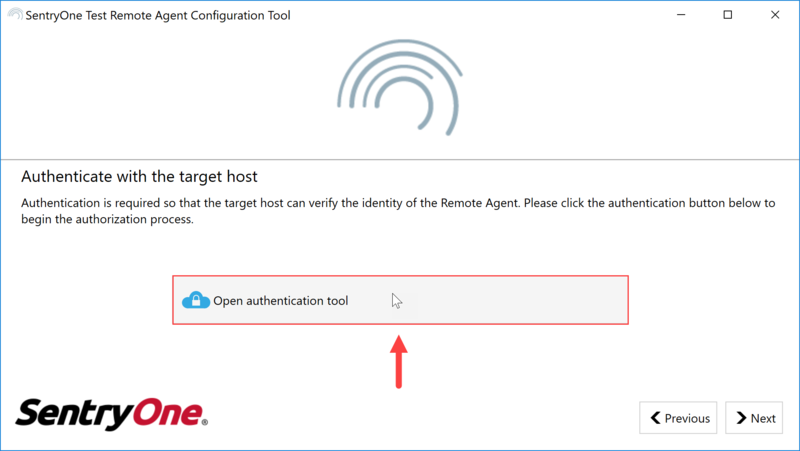 Select Next to display the Authenticate with Target Host page. 3.Select Open Authentication Tool, and then log into your SentryOne account to Authenticate the targets. Select Next to display the Ready to Install page. 4. On the Ready to install page, review the configuration values, and then select Next to complete the installation. 5. 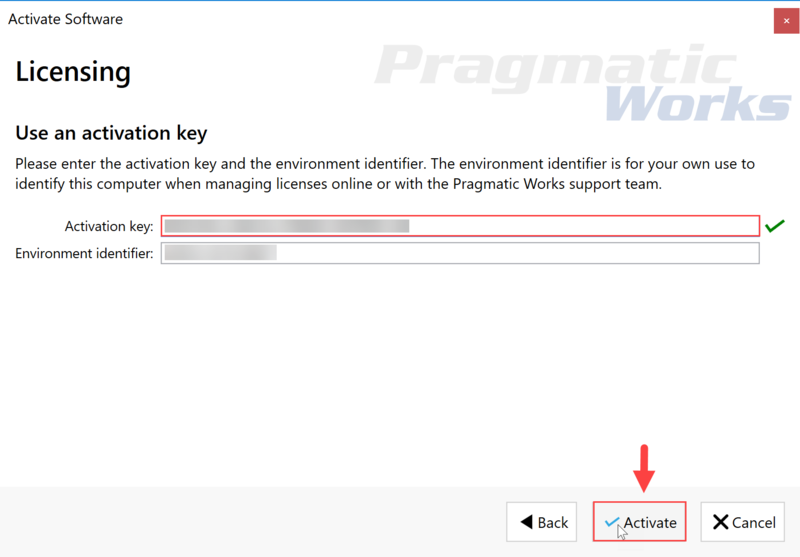 Once installation has completed, select Start license manager, to open the Pragmatic works License manager. Select Install a license to open the Activate Software window. 6. Select Use an Activation Key, type or paste your activation key in the Activation key text box , and then select Activate to activate the license. 7. 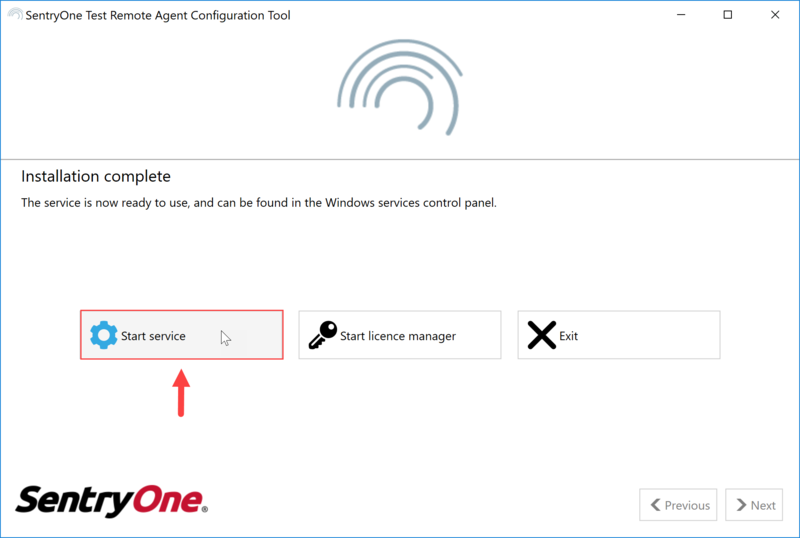 Once your license activation is successful, select Start Service to enable the Remote Agent on your machine. 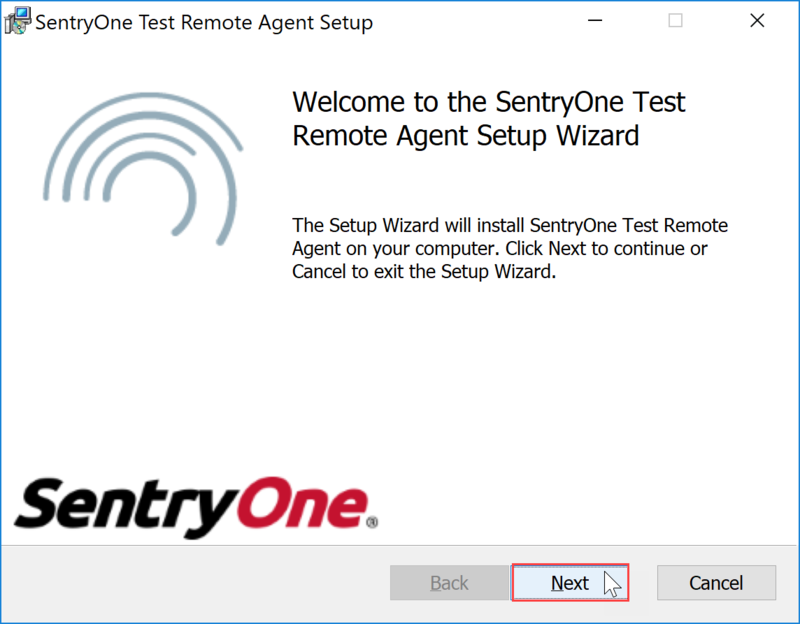 Success: Your SentryOne Test Remote Agent is now ready to use!